No side since United nine years ago have retained the title with Chelsea twice and Leicester failing to even make the top four in past three seasons. There is little time for the Premier League’s stars to shake off a World Cup hangover as less than a month on from Russia’s summer showpiece, the chase to catch champions Manchester City begins in earnest on Friday. On top of the quick turnaround from the World Cup, a shortened transfer window that closes 24 hours before the season kicks off has left many sides scrambling at the last minute to strengthen their squads, none more so than Manchester United. 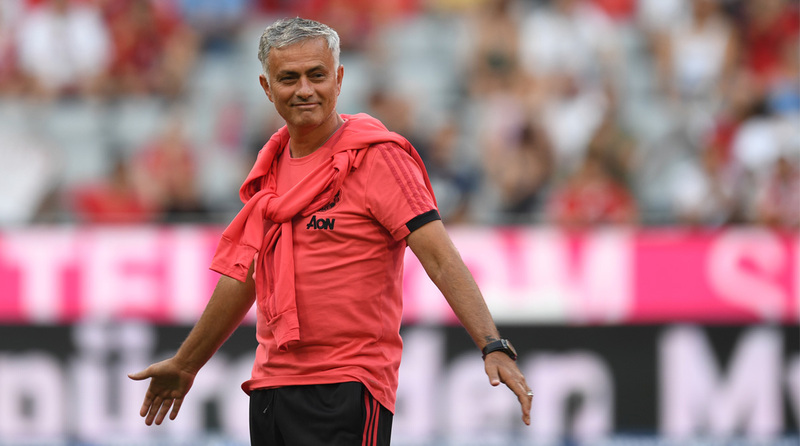 The Red Devils raise the curtain on the campaign at home to Leicester on Friday night hoping to put a troubled pre-season dominated by manager Jose Mourinho’s outbursts behind them. Mourinho has rounded on the club’s hierarchy for failing to sufficiently strengthen in his opinion despite the signings of Brazilian international midfielder Fred and Portuguese full-back Diogo Dalot. As United dither, Liverpool have emerged as second favourites for the title behind City after splashing over £170 million ($220 million) on goalkeeper Alisson and midfielders Fabinho, Naby Keita and Xherdan Shaqiri. “The other clubs who compete with us are really strong and already have fantastic teams. Or they are investing massively like Liverpool, who are buying everything and everybody,” warned Mourinho. “If we don’t make our team better it will be a difficult season for us.” United are further hamstrung with a host of key players including Paul Pogba, Romelu Lukaku and Marcus Rashford involved in the later stages of the World Cup limiting their pre-season preparations. By contrast, Liverpool are well-placed to hit the ground running ahead of Sunday’s kick-off at home to West Ham as Virgil van Dijk, Keita and Fabinho missed out on the World Cup, while Mohamed Salah and Sadio Mane bowed out at the group stage with Egypt and Senegal. Jurgen Klopp’s men demonstrated their ability to beat City on the big occasion last season, winning three of the four meetings between the sides, including a 5-1 aggregate win in the Champions League quarter-finals. However, they finished 25 points back in the league as Pep Guardiola’s men romped to the title with a record 100 points. “The players from last year are responsible for the excitement, and then we brought in a few new players as an icing on the cake,” said Klopp on the club’s promising pre-season tour in the States. “It’s not just that we have to be more consistent, we have to create circumstances where we can be more consistent,” he added. City haven’t dipped into the deep pockets of their Abu Dhabi owners as significantly as Guardiola’s first two summers in charge, but have still strengthened with club record signing Riyad Mahrez. Despite missing a host of World Cup stars, City looked in ominous form as they dismissed Chelsea 2-0 to lift the Community Shield at the weekend but face a tough start as Arsenal begin the post-Arsene Wenger era at the Emirates on Sunday. Unai Emery has enjoyed the luxury of having most of his squad available for pre-season with Pierre-Emerick Aubameyang, Henrikh Mkhitaryan, Mesut Ozil and Alexandre Lacazette forming a fearsome front four. Chelsea also have a new boss but are already playing catch-up with Maurizio Sarri only appointed a month before the start of the campaign. However, the Blues swung into action late Wednesday when they agreed to sell goalkeeper Thibaut Courtois to Real Madrid in a deal which paved the way for Athletic Bilbao ‘keeper Kepa Arrizabalaga to move to Stamford Bridge on a seven-year deal worth an estimated £71 million. Kepa becomes the most expensive goalkeeper of all time. In contrast to the change across London, Tottenham Hotspur have yet to add a single signing ahead of their first season in a new 62,000 capacity stadium.